Julie is in a good mood. Shane asks Des if Terry can move in as a tenant. Julie is very chirpy at the bank. Shane takes Mrs Fielding to the hospital. 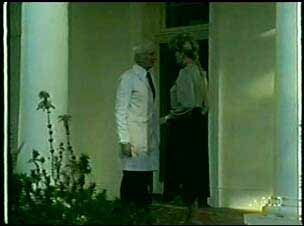 She tells him he'd better not come in or he's fired. Shane picks up some of Terry's stuff. With the letters is a note from her husband saying, "YOU'RE DEAD!" Shane has rung the police - apparently Gordon has been sighted in Queensland and they should pick him up in a day or two. Terry is unconvinced. Shane says that the police are coming around later, but Terry wants to keep the affair to themselves. Shane reassures Terry that this won't go on forever - and Gordon has no way of knowing where she is. He heads off back to work. When he's gone, Terry locks the door. Shane has arrived back with the car, but there's no sign of Mrs Fielding. 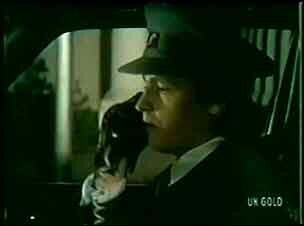 Just then the car phone rings - it's an urgent message for Mrs Fielding. The caller tells Shane to find Mrs Fielding immediately and tell her to ring the office. Shane looks conflicted. Mrs Fielding is comforting a man (Dan) who's very sick. Presumably this is her husband. He says he knows he can count on her to run the business. Shane comes in and is about to knock the door when she overhears then talking. Mr Fielding is saying that if it hadn't been for her, he'd never have pulled through all the operations. Apparently he'll be out of hospital in a couple of weeks. Mrs Fielding is behaving very kindly. Shane knocks the door and comes in. She isn't very pleased at all. Shane tries to explain about the message, but he can't get a word in. Mrs Fielding says that she only gets a few precious hours with her husband and she isn't to be disturbed. Mrs Fielding and Shane get in the car. Mrs Fielding immediately rings the office - apparently a company is threatening not to sign a contract. She doesn't seem too concerned though. Shane apologises for coming into the hospital, but she says she'll let it go, as long as Shane promises not to tell anyone about anything he saw or heard. 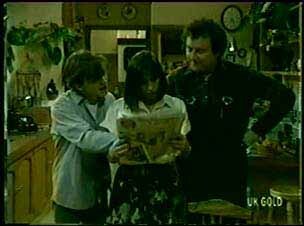 Maria and Danny are hanging out when Max comes in in a rage. He tells them that Gordon Miller has escaped from jail. He is very upset and says if he turns up anywhere near him, he'll tear him limb from limb! Scary music plays as Terry wanders round the house on her own, putting all the lights on. She peeps out of the window (I hide behind my laptop) but luckily no-one is there. Then she sits in the chair, alone and scared. Helen is busying herself making the breakfast. Julie is still in a good mood and tells Helen she's starting a diet today. Julie offers Helen the use of the car today - she can get a lift with Des. Helen is taken aback and gratefully accepts. HELEN: Julie...what's got into you? Julie says she's just being herself(!) She goes outside to pick some flowers to "brighten up the bank a little". Maria tells the boys that Max still doesn't want her to get a job. She's unqualified anyway. Shane suggests she goes back to school to get her HSc. Max comes out and tells Shane that Gordon Miller has escaped. Shane tells him not to worry - there's nothing they can do about it. Max still hasn't foud an apprentice. Des tells Shane that he met a nice air hostess at the barbecue last night. Shane doesn't want to hear it now though, and goes straight in to see Terry. The door is locked when Shane arrives. Terry lets him in and looks very jumpy. She makes Shane a coffee and he apologises for leaving her on her own last night. Terry thinks if Gordon was going to do anything, he'd have done it by now. She doesn't seem as anxious anymore. 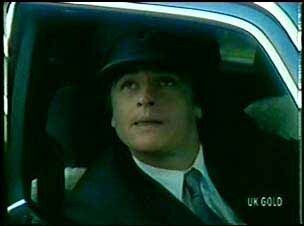 Julie asks Des for a lift, saying that Helen really wanted to use the car. Des says that it's rather convenient(!) He asks her what he thinks of the new bank manager - she has been out for a drink with him after all. Julie says that he seems quite nice, but there's nothing going on between her and the bank manager. Des warns Julie that Phil is a married man with two kids. Julie comes in to give Phil a folder and he thanks her for the flowers. He also thanks her for her advice on the blinds - they look terrific. Julie asks Phil if he can give her a lift home tonight, saying her car still isn't fixed, and he agrees. He says he hopes the garage isn't taking advantage of her. Des comes in with a folder and Julie excuses herself. He rolls his eyes about Julie's lie about the car. Mrs Fielding gives Shane some packages to deliver. When she's stepped out of the room, Shane looks at a picture of her husband. Then he heads off. Just then the phone rings and Mrs Fielding answers it. She runs after Shane and says he has to take her to the hospital immediately - her husband has had a heart attack. Mrs Fielding rushes up the steps of the hopsital and a doctor meets her. You can't hear what's said, but clearly he tells her that her husband has died. She asks Shane to take her home.